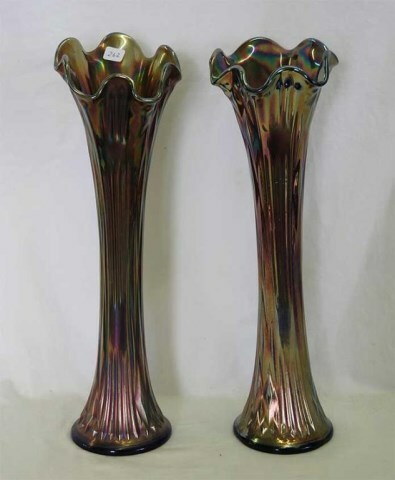 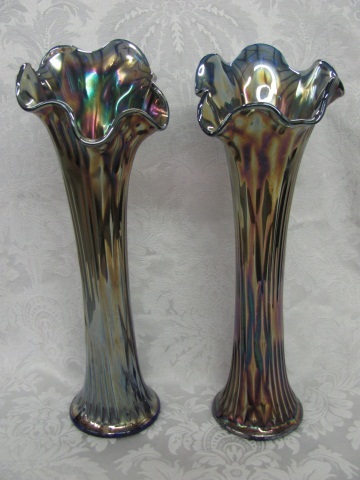 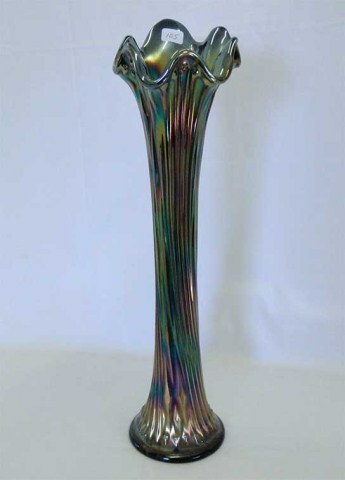 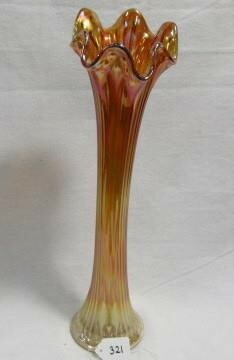 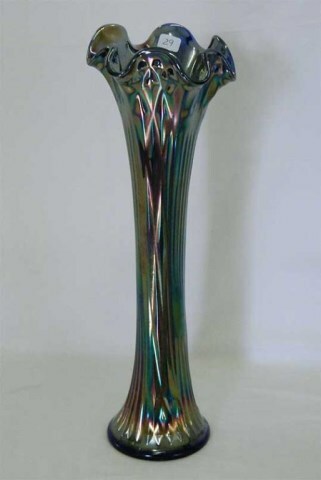 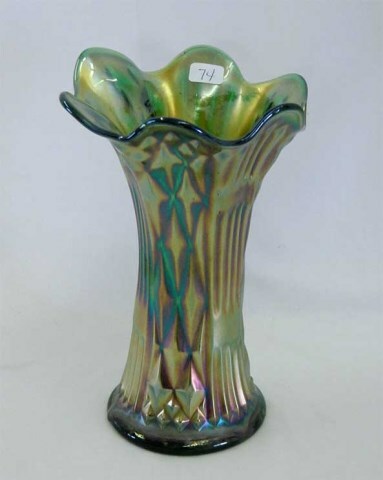 Often confused with another Fenton vase pattern, Diamond Point Columns, or other similar designs. 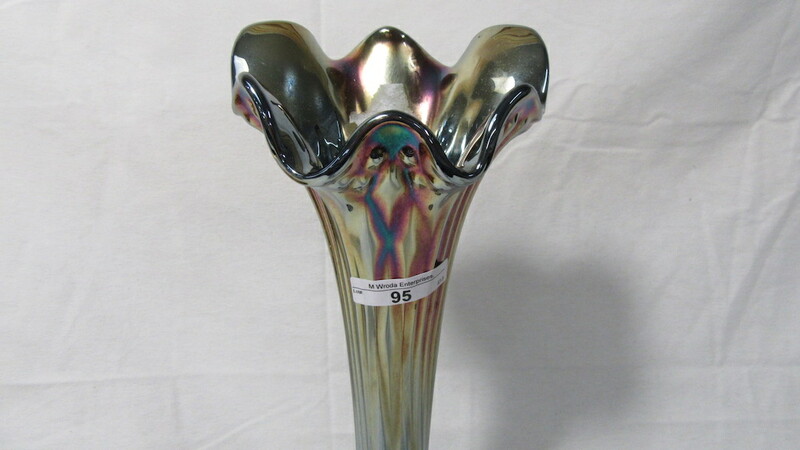 Sometimes referred to as Spearhead and Diamonds or Spearhead and Ribs. 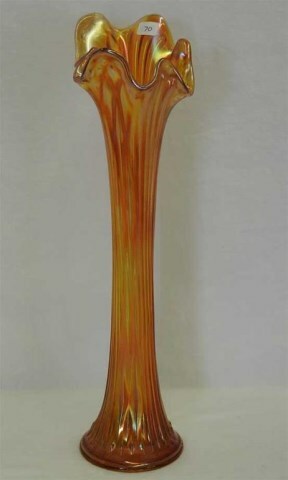 Some have a short horizontal bar breaking the ribbed panels–most easily seen here on the short example in the photo. 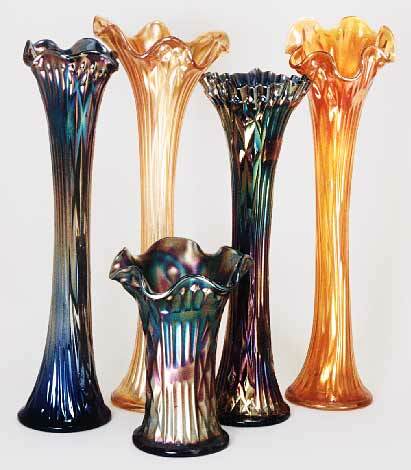 Most of these vases are pulled to heights of 14 to 17 inches, almost obliterating the pattern. 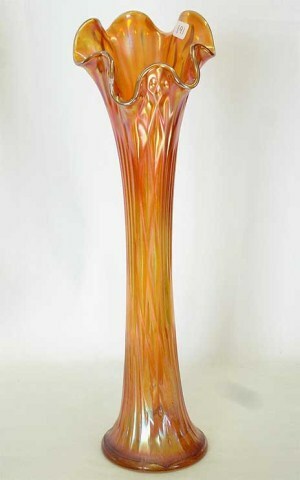 Short examples are quite rare. 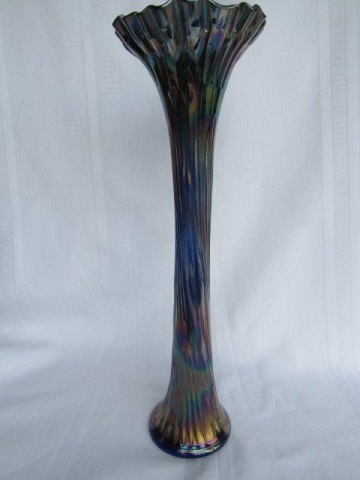 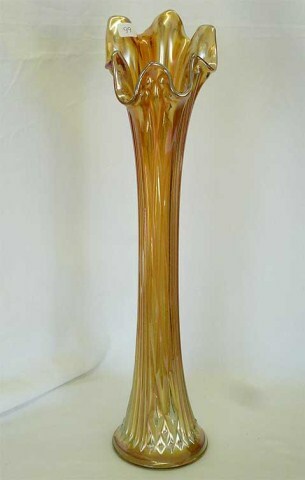 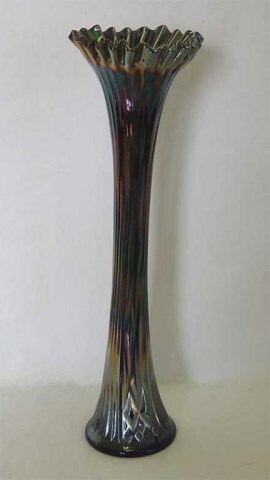 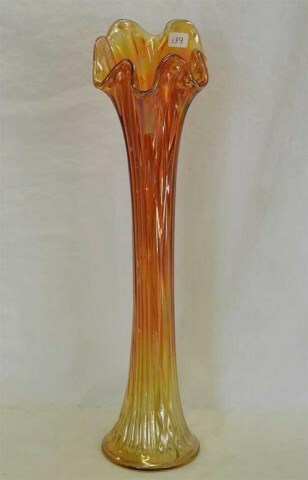 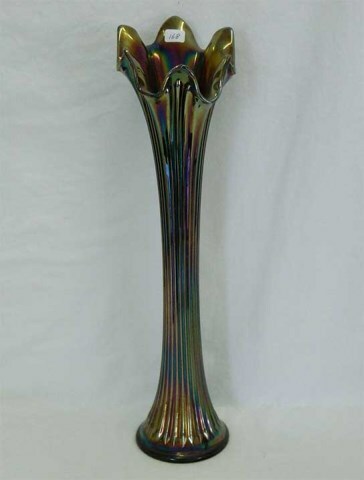 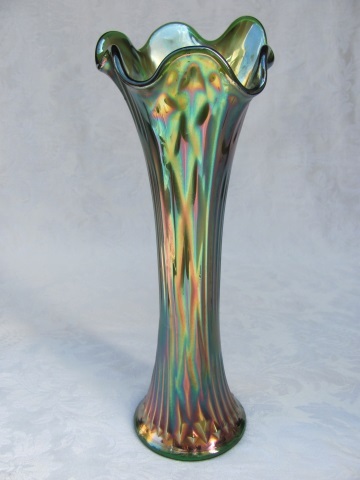 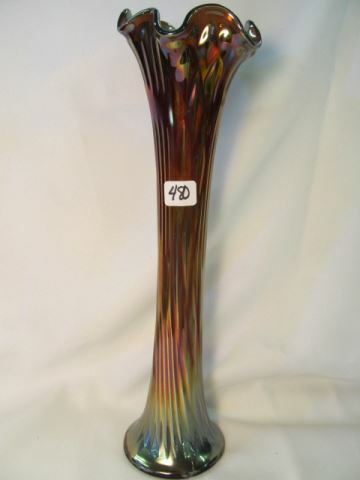 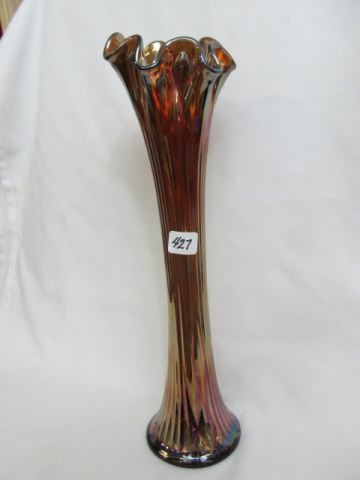 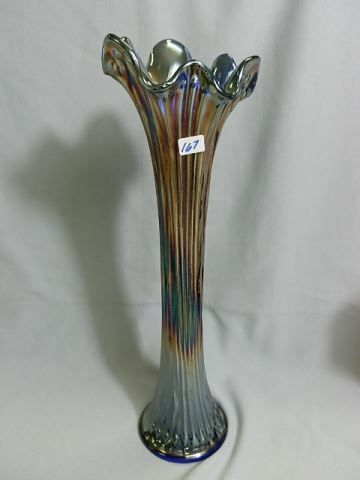 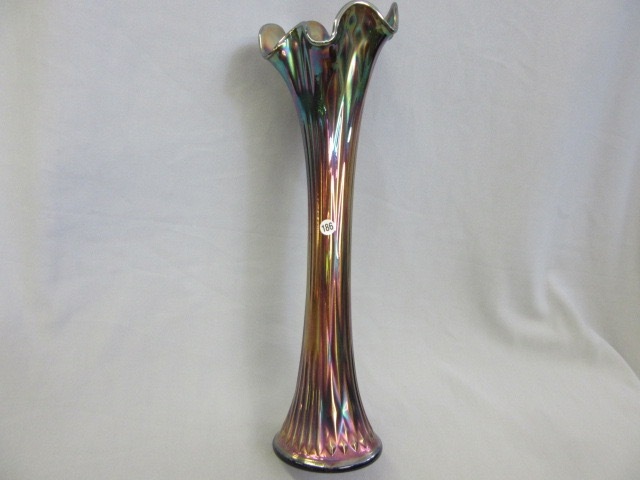 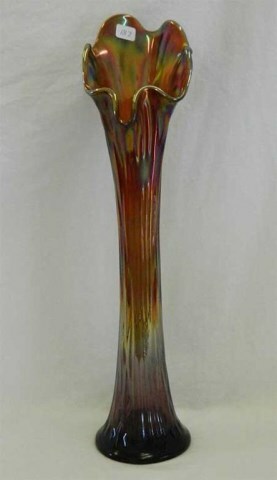 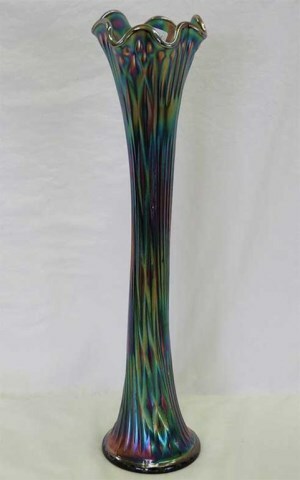 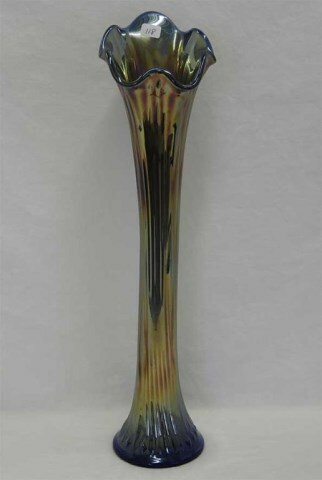 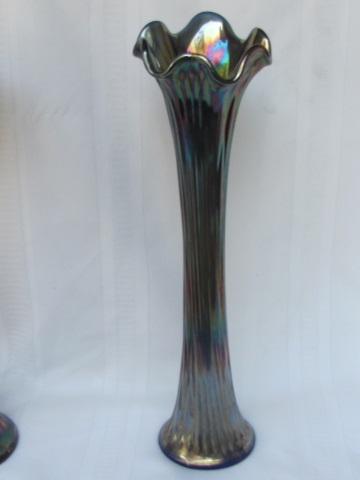 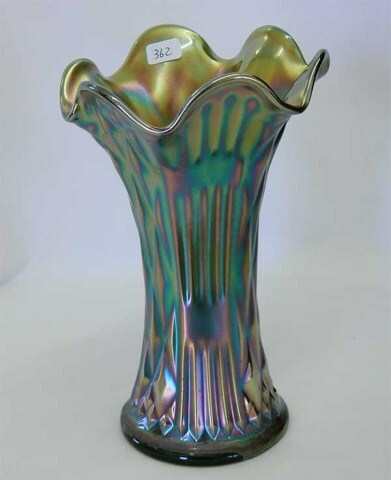 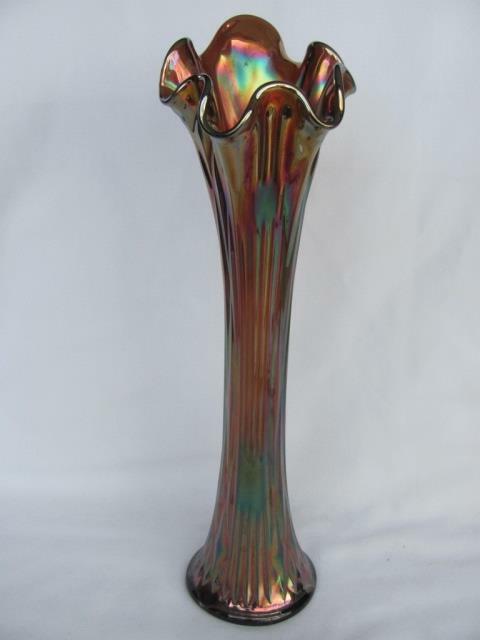 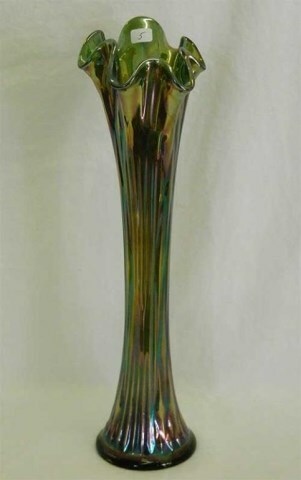 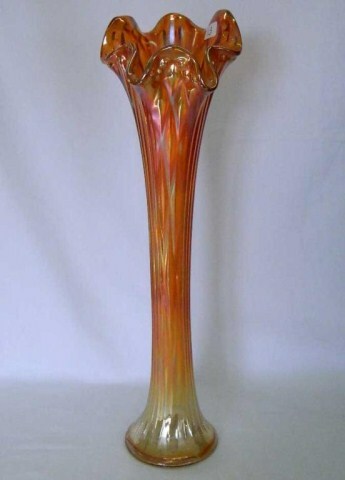 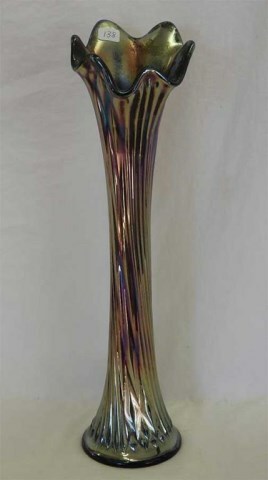 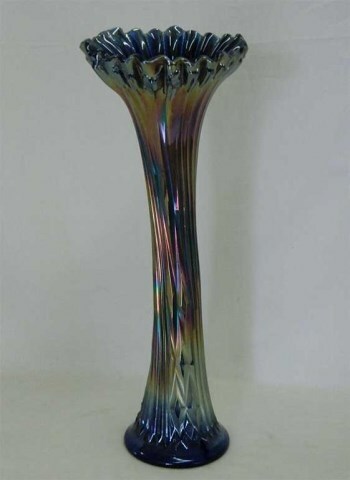 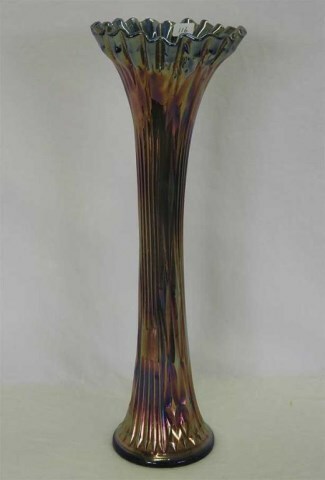 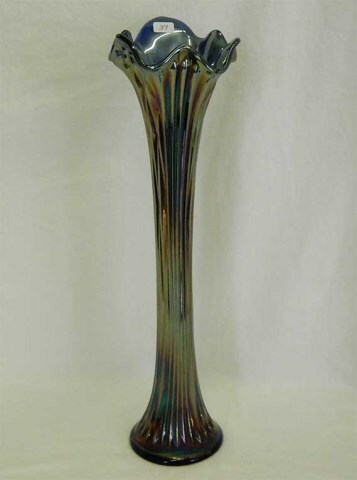 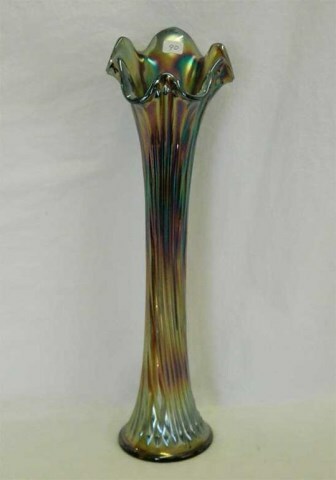 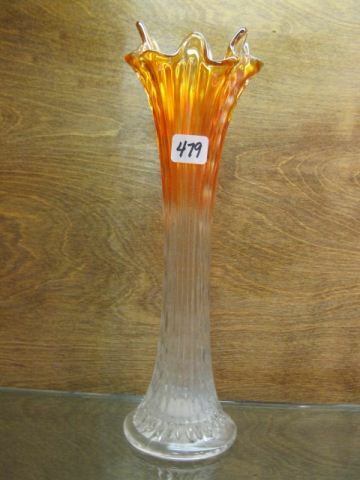 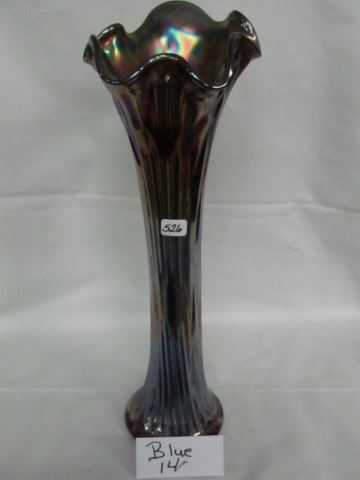 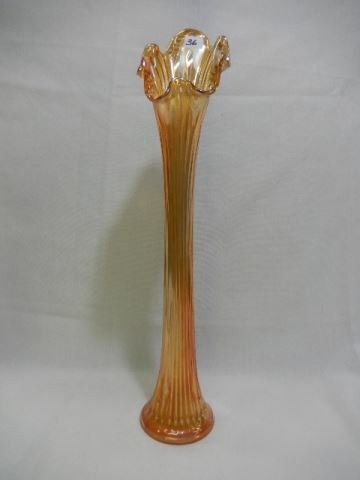 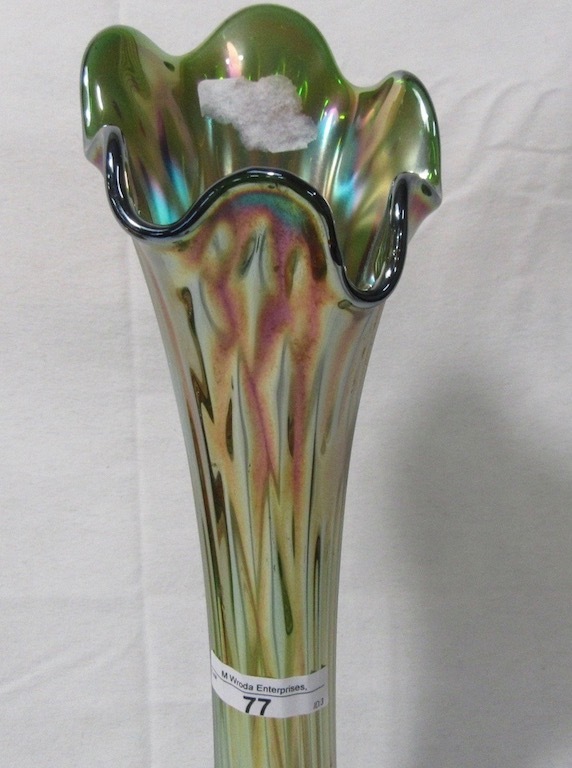 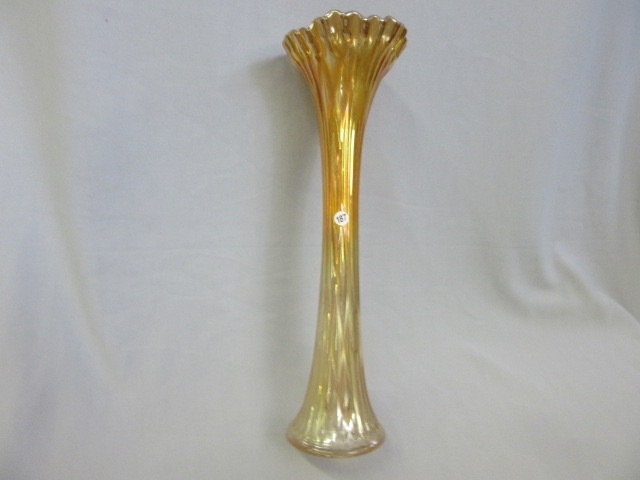 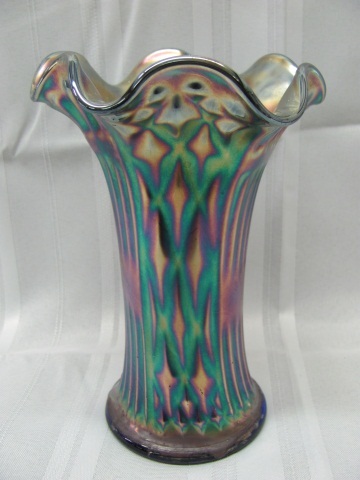 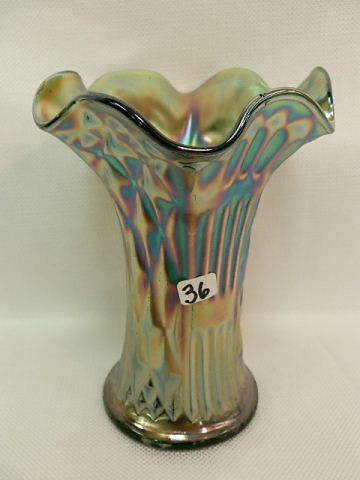 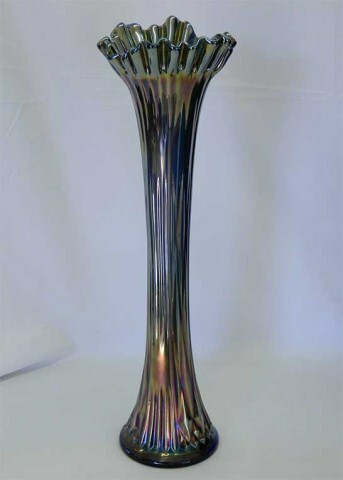 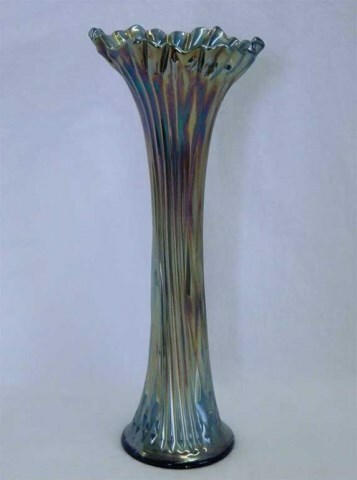 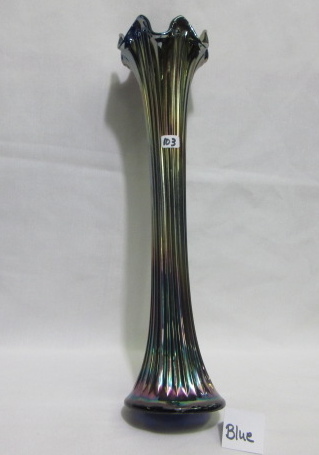 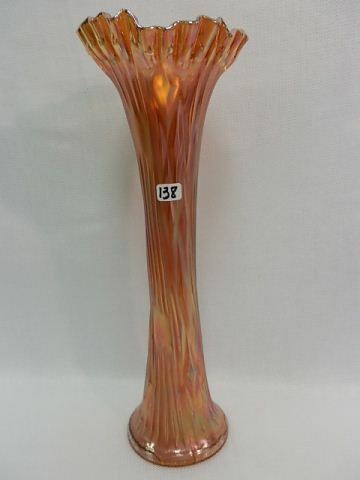 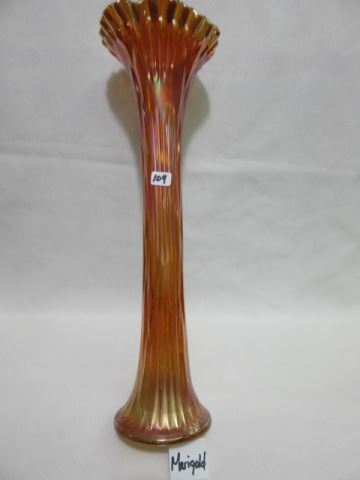 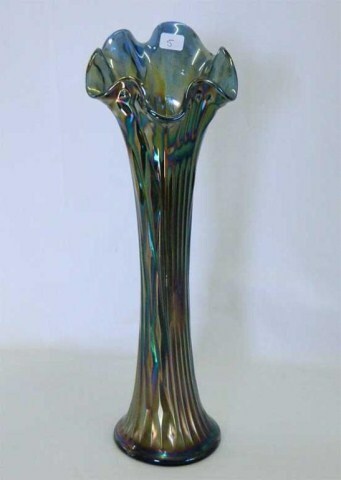 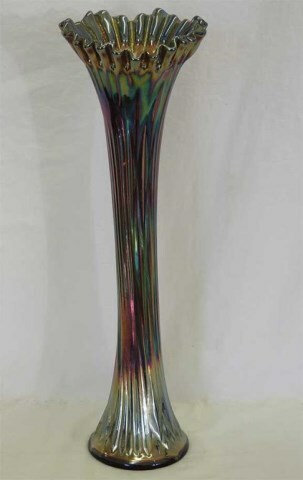 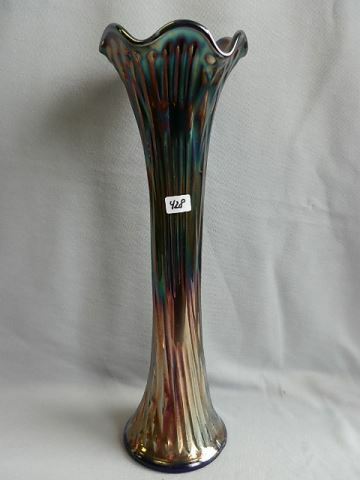 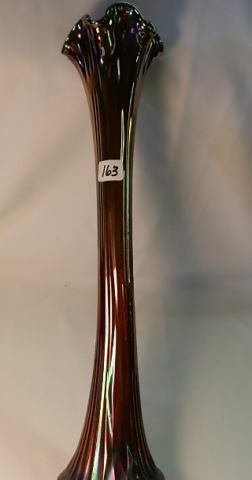 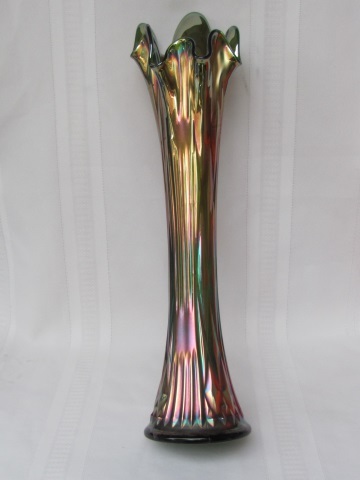 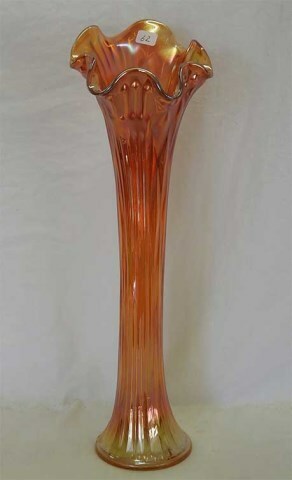 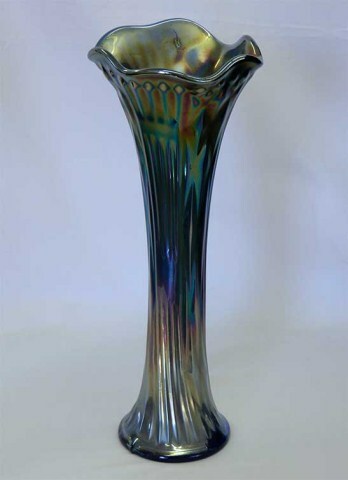 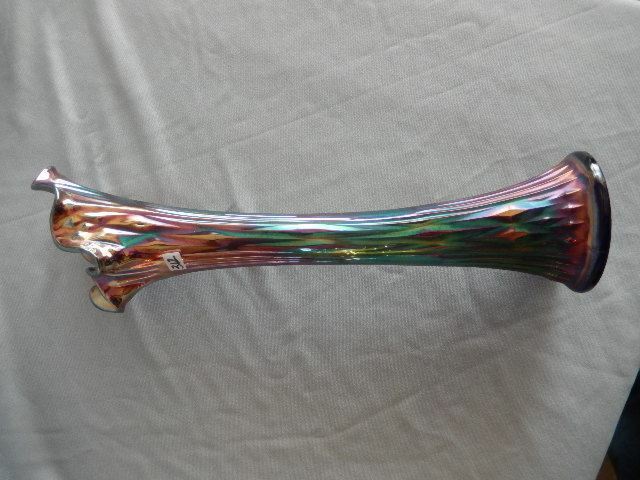 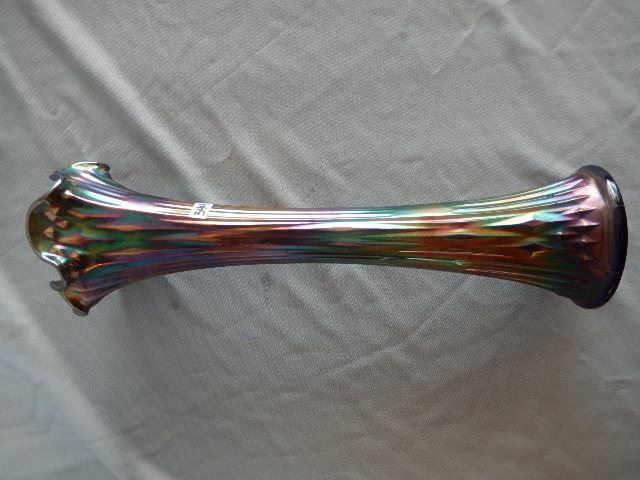 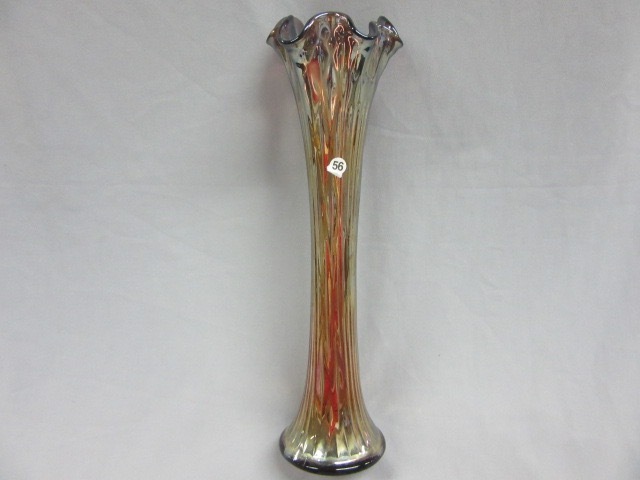 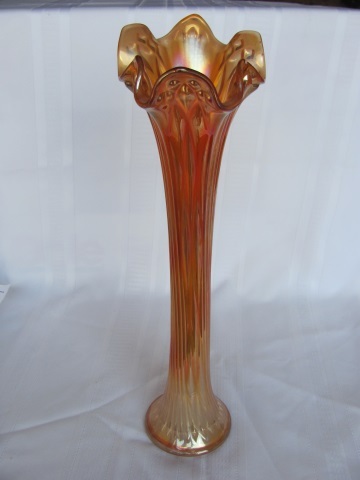 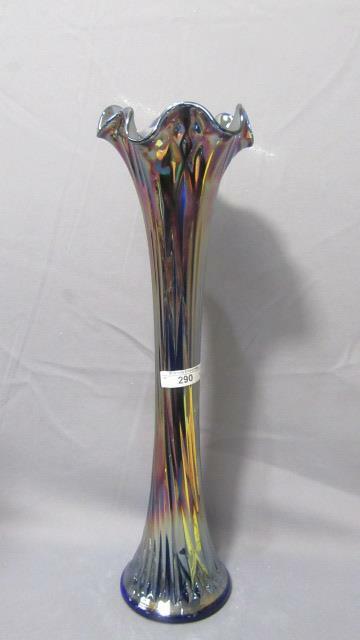 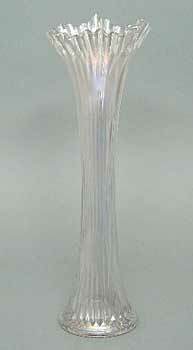 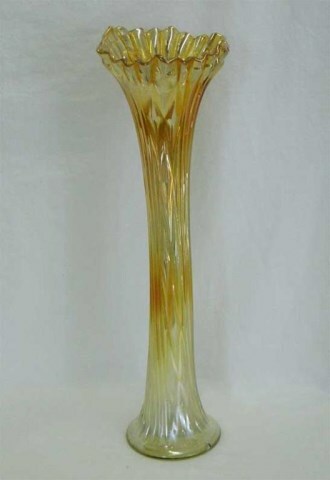 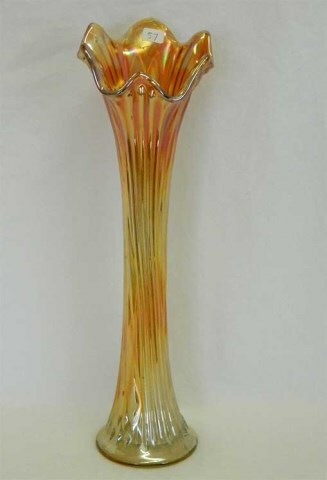 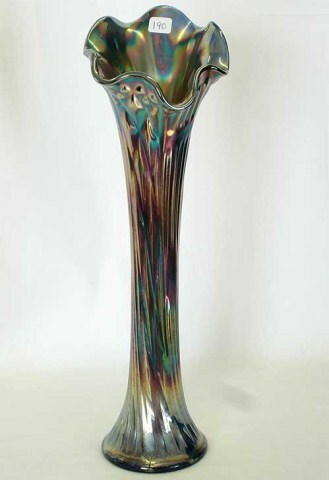 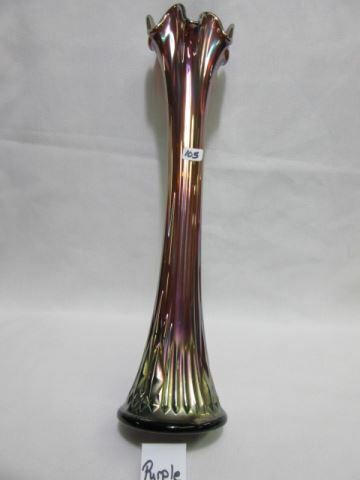 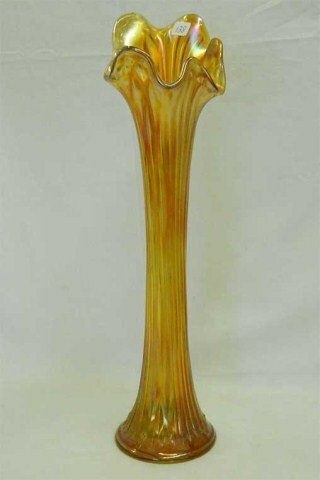 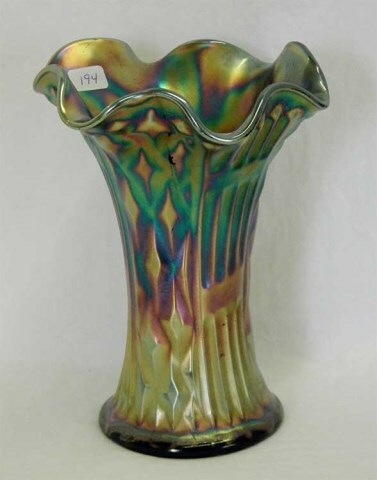 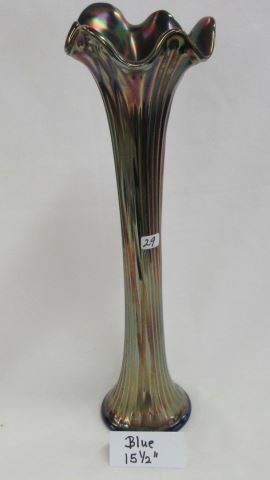 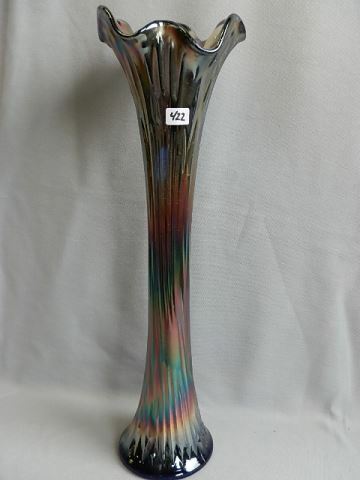 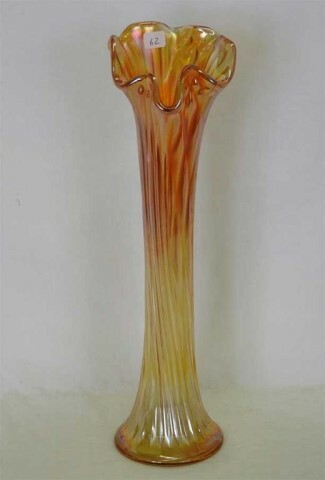 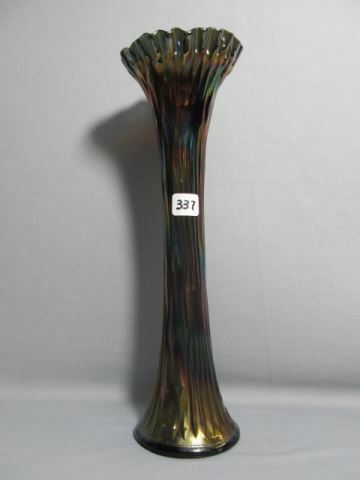 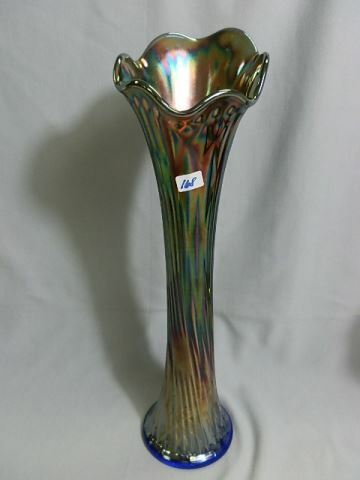 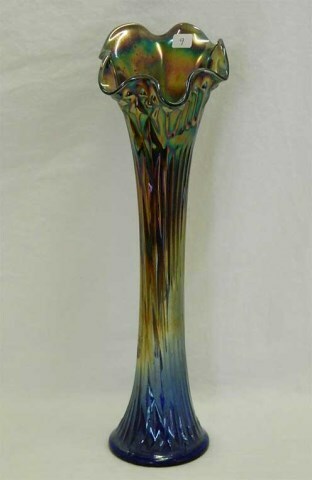 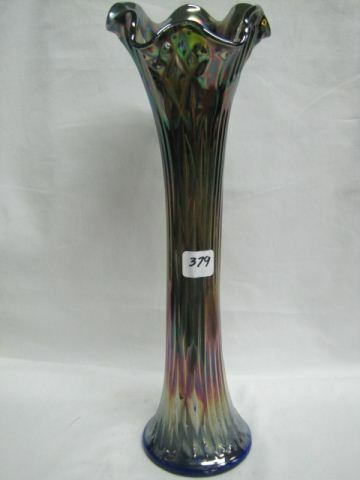 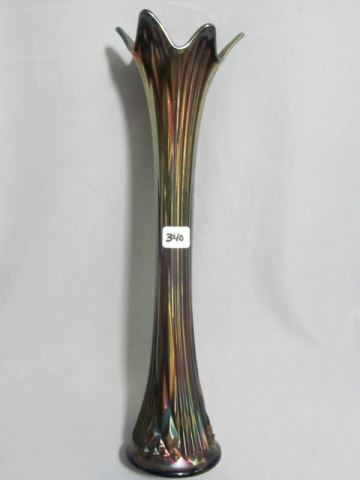 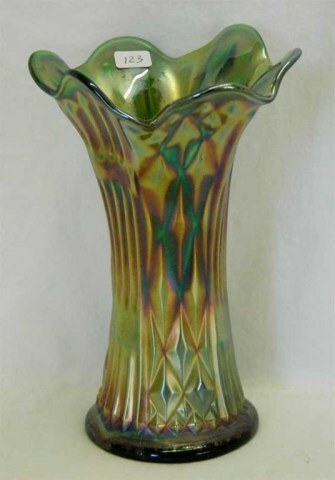 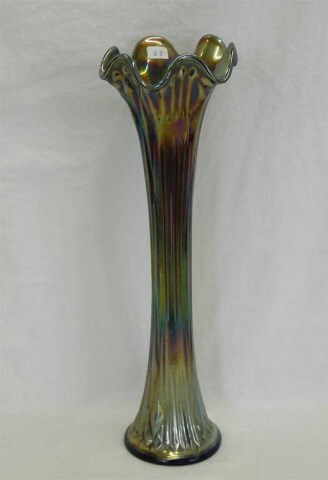 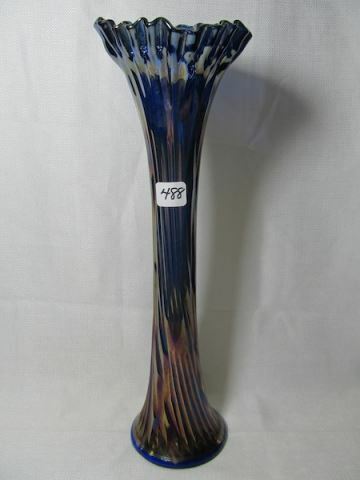 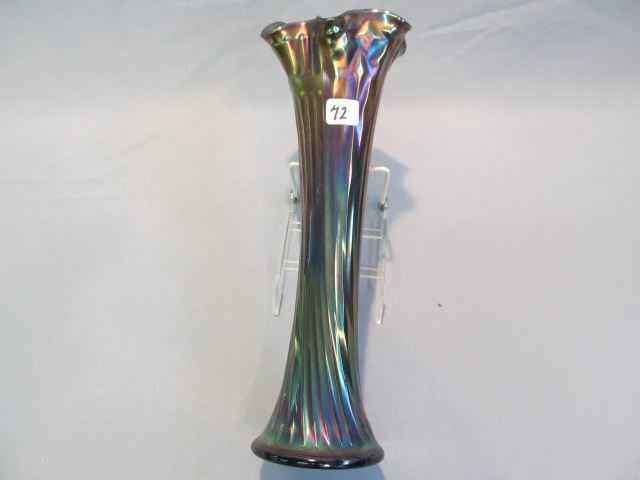 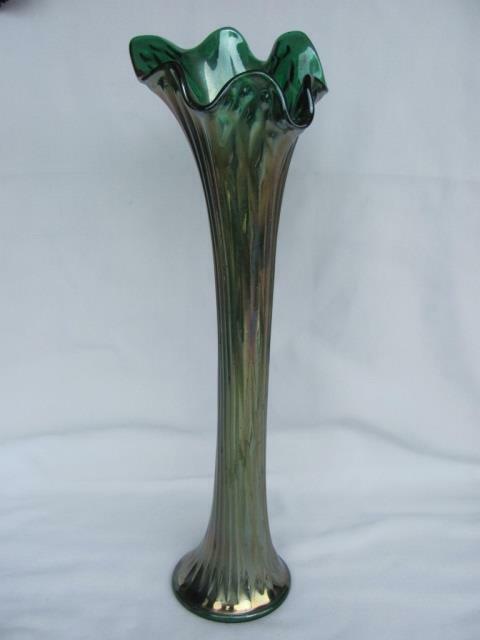 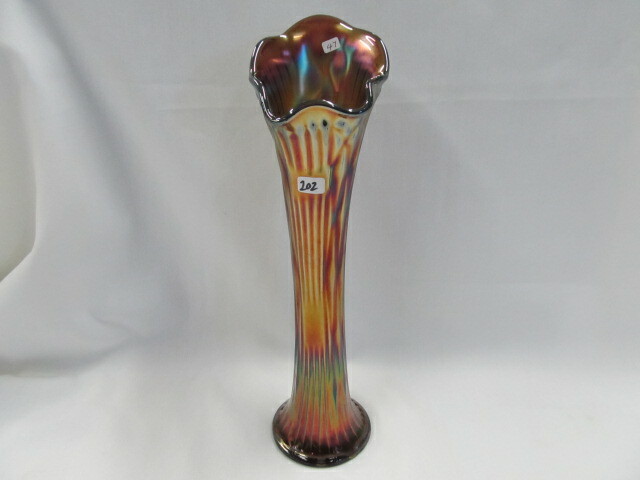 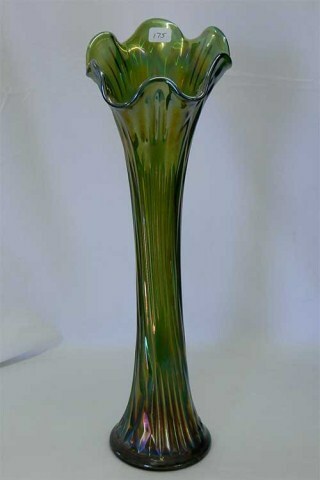 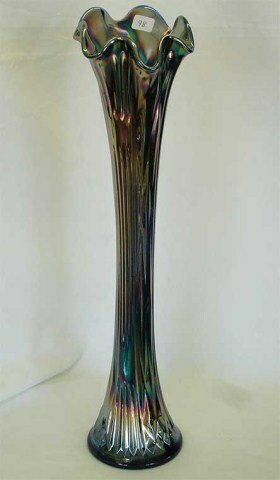 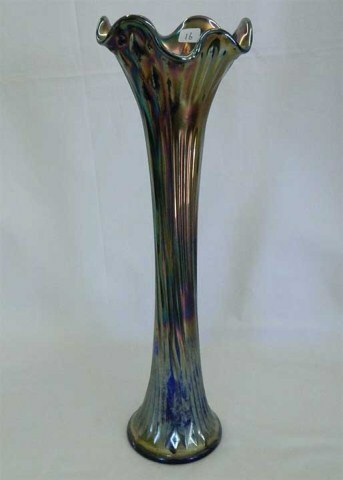 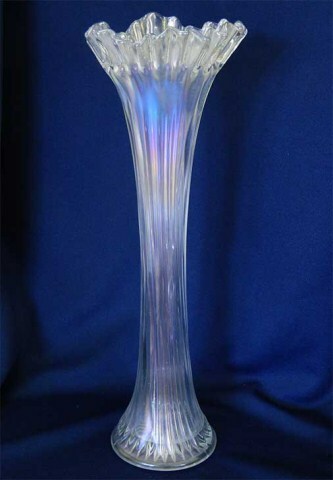 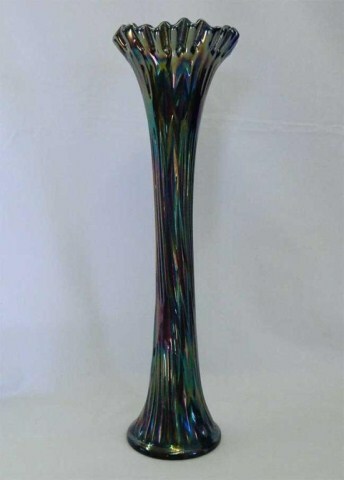 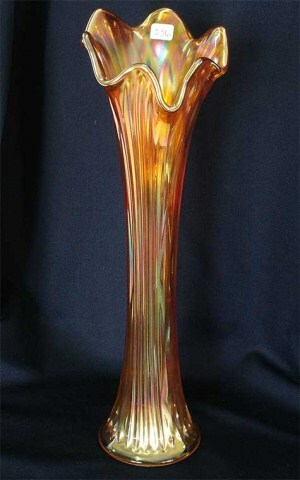 This 14-inch Nine Sixteen vase in white (above right) sold on eBay in 2006 for $160.